← Mechanical problems deflate Wonder Balls, force cancellation! VEGGIES! FRUIT! CHICKENS! EGGS! MEATS! CHEESE! BREAD! PERSONAL CARE PRODUCTS! THE DANISH AMBASSADOR! We’ve always felt that our market’s location — in Pretzel Park which includes a playground and dog run — has contributed to making the market kid-friendly, pet-friendly, and family-friendly. Melvin Fisher will be bringing pork, including but not limited to spare ribs, bacon, chipped ham, and a number of different sausages which are all nitrate free cured meats — No MSG seasonings— and 100% grass-fed beef, such as a variety of steaks, ground beef, burger patties ready for grilling, and beef sticks and bologna. He also will be bringing eggs and chicken (whole chicken, bone-in and boneless breasts, and drumsticks) from the farm. In addition, he will be bringing Alpine Heritage Creamery’s cheese (8 ounces) made from raw grass-fed milk (Sharp, Smoked, and Mild Cheddar, Pepper Jack, Colby, and Swiss). Cheese samples will be available. IN ADDITION, Melvin will be bringing fresh produce and fruit from a neighbor, Riehl Farm! Sweet Corn, Tomatoes, Green Peppers, Cucumbers, Zucchini, Summer Squash, Green Beans, Wax Beans, Kale, Lettuce, Swiss Chard, Cabbage, Potatoes, Shallots, Onions, Peaches, Blueberries, Cantaloupe, Watermelon, and Nectarines. Maybe plums. Limited number of bouquets. as well as baked goods (4-seed cookies, peanut butter cookies, and honey crisp). Erica Paciello makes all natural, vegan, personal care products. This week she will be bringing organic hand soap, body wash, shampoo bars, bath bombs, bug sprays, etc. Pretzel Park is honored to host Kevinski Q. Smythe-Jensen, Special Danish Ambassador to the United States. Mr. Smythe-Jensen will happily share the wonders of his native Denmark with Park passersby. 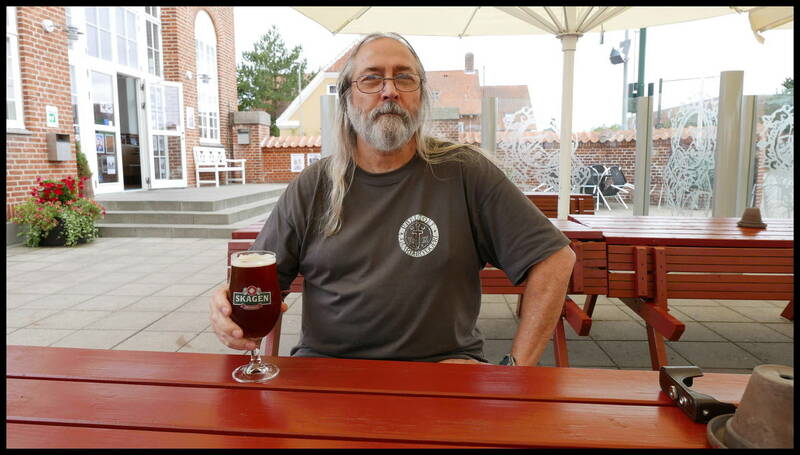 Mr. Smythe-Jensen is pictured here at Skagen Brewpub, the place of his birth, enjoying the brew that flows naturally in Denmark from underground streams unique to that country. Thanks for a great Year! See you in the Spring!